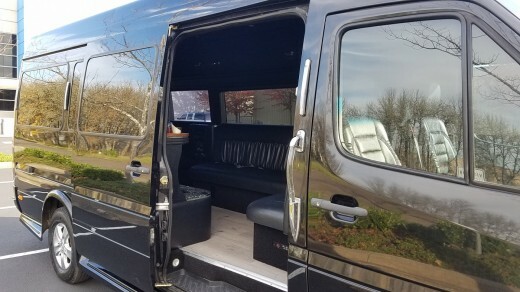 Want all of the comfort and intimacy of a stretch limo but with a low key appearance? 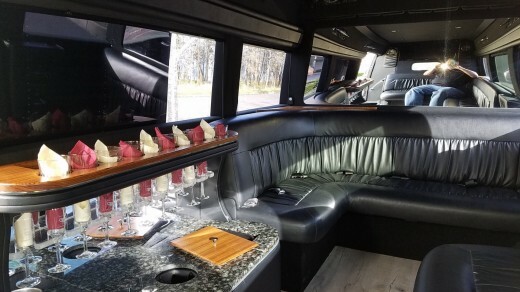 Our 10 passenger Mercedes Benz Sprinter limo is the perfect choice. Comfortable perimeter seating with enough head room to stand, high end electronics w/bluetooth capable stereo, sub woofer, and flat panel TV make this a great choice for clients seeking comfort as well as attracting a little less attention. 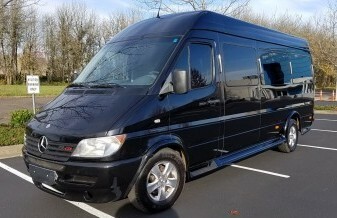 Lots of cargo room in the back for airport transfers, Bandon Dunes golf trips or storing wine on an Oregon wine tour. Sprinters are the new trend in limousines, having become very popular in big cities and with celebrities. Now you can have one in Eugene! Non smoking $160 for a single hour, $110 per hour for 2 hours or more (plus tip and fuel surcharge). Eugene Airport ground transportation rates are $125 plus tip and fuel for local airport drop offs, and $135 plus tip and fuel for Eugene Airport pick ups. These prices include all all Eugene Airport ground transportation fees. Portland Airport/Eugene transfers are $350 plus tip and fuel for drop offs, and $375 plus tip and fuel for Portland airport pick ups. These prices include all Portland Airport ground transportation fees.